I've been struggling with my LCD for hours, and after solving more different issues than I can remember, I'm out of ideas for this one. My LCD is showing random characters, see the picture below (the last character blinks, some characters change and over time there are slowly more and more characters). I'm starting to wonder if the LCD I chose has a driver compatible with the LiquidCrystal library, what do you think? If so what can I do to avoid buying another one? I'm using this Arduino and this LCD. Note that I'm using pins 10,11,12,13 for a SD (which works) and 6 7 8 for a MAX232 (which is disabled). It could be because "millis()/1000" generates a "number", and not the "string" (or "char"). 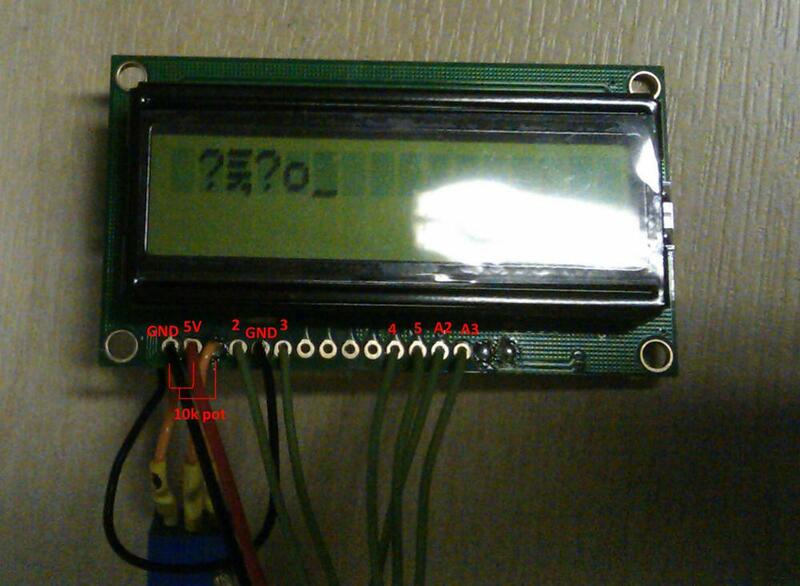 Try to add ",DEC" in your lcd.print(), something like "millis()/1000,DEC" to convert it to "decimal". Generally, it depends on the library, how they implement this function. Not the answer you're looking for? Browse other questions tagged lcd or ask your own question. Why does my lcd screen work fine and then display random characters? Why does my LCD screen display white rectangles?